I was planning an afternoon out with my wife and I stumbled upon Stargazers Vineyard & Winery. I was looking for something more “cozy” and this site seemed to hit the spot. Once we landed on the winery, we reached out to a couple of local companies looking for transportation. We were blown away over the phone by Kevin Smith Transportation Group. They knew exactly what we needed and we landed on one of their brand new Cadillac XTS’s. 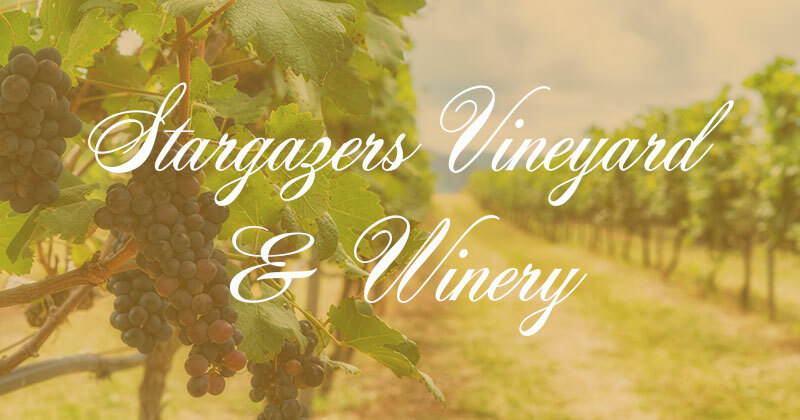 Stargazers Vineyard & Winery was founded by Alice and John Weygandt with the first planting occurring in 1979. The winery was officially established in 1996. The vineyard is near the “Stargazers Stone” which is the spot where Mason and Dixon had their observatory that they sued to survey the border between Maryland and Pennsylvania. We were picked up at 11:30am and our Chauffeur who was named Chris was awesome. He loaded our picnic basket after we were comfortably relaxed in the car. The temperature was perfect and he had our favorite music playing (they had asked us when we booked which I thought was a great touch). When we arrived, we went to the tasting room and sampled a variety of wines. While not every wine was something I would normally drink, my wife loved everything she tasted. The staff was super nice and the entire feel was just very mellow. After the tasting, we picked our favorite wine, bought a bottle and went outside to enjoy our picnic. Left to our own devices, it was just a chance to catch up with each other. We left feeling totally relaxed, a little buzzed and glad that Chauffeur Chris was taking us home. The only way to travel for sure. Stargazers Vineyard & Winery has very much of a European feel. When doing a tasting, you are likely to meet somebody who grows the grapes and makes the wines. Everyone is encouraged to stroll the vineyards and see the winemaking happen. Enjoy a relaxing picnic? Bring your basket and enjoy your favorite Stargazers vintage and watch the Brandywine Creek at the base of the valley. A Sunday afternoon Wine Tour is a great way to spend an afternoon. We felt like the entire world was shut down and it was just the two of us. I highly recommend a Wine Tour for anyone looking to do something unique.